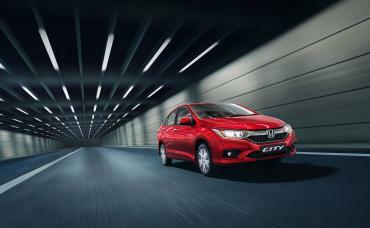 The Honda City is no longer available in base S trim. The SV MT is now the entry level variant, which is priced at Rs. 9.70 lakh (ex-showroom, Delhi). The Honda City facelift was launched in February 2017. The SV MT trim comes with halogen headlamps with LED DRLs, 15-inch alloy wheels, audio system with Bluetooth, multi-function steering wheel, automatic climate control with rear AC vents, cruise control, and electric ORVMs among others. Higher variants get all LED headlights and 16-inch diamond cut alloy wheels. The SV MT trim is available with both petrol and diesel versions of the City. The 1.5-litre, 4-cylinder petrol engine produces 117 BHP @ 6,600 rpm and 145 Nm of torque @ 4,600 rpm and comes paired with either a 5-speed manual or continuously variable transmission (CVT). The 1.5-litre, 4-cylinder diesel makes 99 BHP @ 3,600 rpm and 200 Nm of torque @ 1,750 rpm and is offered with a 6-speed manual gearbox. Recently, Honda introduced a new ZX MT Petrol variant. In terms of pricing, it is positioned between the V CVT Petrol and VX CVT Petrol variants.